Electricity causes almost half of all domestic fires – most of which arise from electrical products – with the over 60s at far greater risk from them than any other age group. Almost 40% of deaths from portable heaters were of people aged 80 and over during 2013-2014. It’s been estimated that damaged electric blankets are responsible for over 5,000 UK house fires each year. 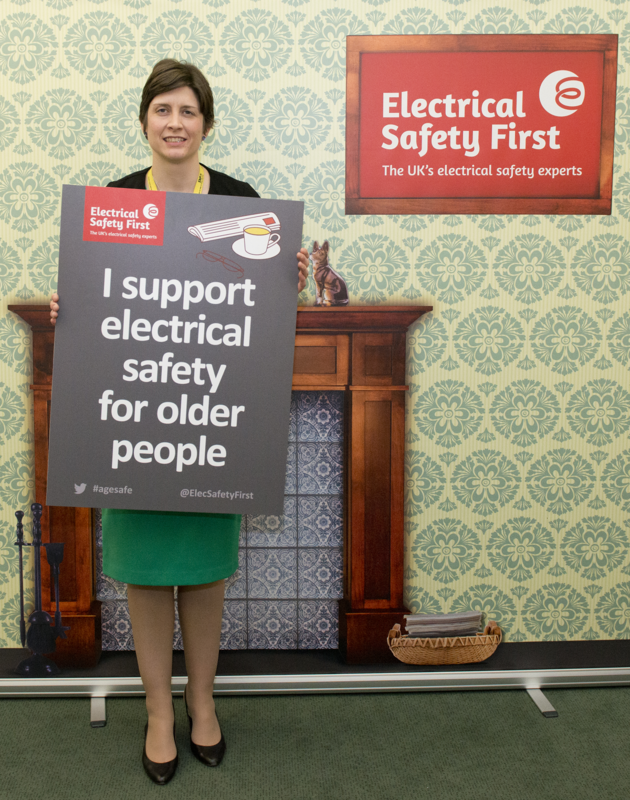 To get some advice and support in highlighting the need for electrical safety for older people, Alison Thewliss MP visited Electrical Safety First’s drop-in ‘surgery’, which was recently held in Portcullis House, Westminster. “As we live longer and tend to remain in properties for longer, regular home safety checks are often forgotten and electrical wiring and appliances tend to be older”, explains (name of MP). “Electrical Safety First’s campaign highlights how – by taking just a few moments to ensure electrical sockets, wires and cords are in good condition and sockets aren’t overloaded – can make a real difference to the safety of older relatives and friends”. The Charity has regularly run a series of campaigns to increase awareness of electrical risk but this is the first time it has offered a ‘surgery’ for MPs.